How? One word, hypermiling. Hypermiling refers to a driving technique whose only aim is to maximize fuel efficiency. But is this technique practical for regular drivers, on regular Indian roads? We explain, with an example. Let’s take the Dzire Diesel for example, the most fuel efficient diesel car in the country. 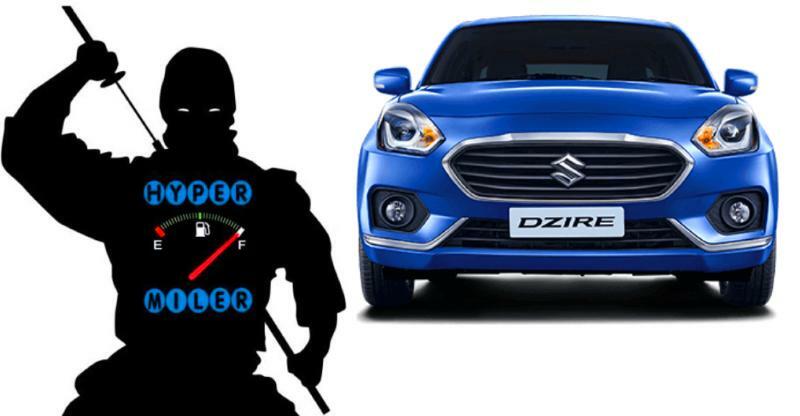 A regular Maruti Dzire Diesel delivers a mileage of 28.4 Kmpl, according to ARAI, a government-run certifying agency. In the real world, it’s not uncommon for Dzire Diesel owners to report a mileage of about 25 Kmpl on the highway. However, there have been record breaking diesel cars, or rather record-breaking hypermiling drives. For example, a few years ago, in a ‘fuel-efficiency rally’ (yes, such things really take place in a mileage-crazy country like ours) conducted by Maruti Suzuki, a Dzire Diesel owner managed 45.8 Kmpl. Yes, you’re reading right. And another car magazine managed to eke out 32.3 Kmpl from a Ford Fiesta Diesel sedan. Both these figures were achieved by ‘hypermiling’. So, how do you hypermile? You simply drive on an open highway, at about 60 Kph, in fifth/sixth gear, with the windows slightly rolled down and no audio playing. You use the brake or the clutch only when absolutely necessary, which in other words means, you don’t really use them. You don’t speed up or slow down. You just plod along at this glacial pace, no matter what. And if you drive like this, you may well be able to squeeze out over 35 Kmpl from a regular Dzire Diesel. Well, that’s a full 20 % more than what even Maruti claims as the Dzire Diesel’s maximum fuel efficiency figure. Just think of how hot you’ll get inside a car that’s driven without the air conditioner switched on, especially in India. And driving at 60 Kph on a highway will make you a sitting duck for fast drivers. It’s outright unsafe to be a slow car amid much faster traffic. You are going to get hustled. Heck, even loaded trucks are faster these days. And we’re not even getting into how boring a car doing 60 Kph on an open highway can get, especially with no music playing. It’s like watching paint dry. Concentrate bro, concentrate. Oh, and the next toll gate with half a kilometer of piled up cars is coming up. Forget it. No point driving like this.